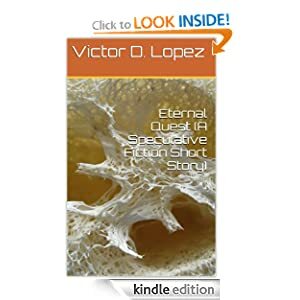 Book of Dreams 2nd Edition – Preview #1 [Eternal Quest] | Victor D. López, J.D., Esq. No portion of this copyrighted book may be copied, posted, transmitted or otherwise used in any form without the express written consent of the author. Victor D. López is an Associate Professor of Legal Studies in Business at Hofstra University’s Frank G. Zarb School of Business. He holds a Juris Doctor degree from St. John’s University School of Law and is a member of the New York State Bar, New York State Bar Association, The Academy of Legal Studies in Business (ALSB) and the North East Academy of Legal Studies in Business (NEALSB). He has been an academic for more than 25 years and, prior to joining the Hofstra University faculty, served as a tenured Professor of Business, as Dean of Business and Business Information Technologies, and as Academic Dean in urban, suburban and rural public and private academic institutions. Professor López is the author of several textbooks and trade books and has written poetry and fiction throughout most of his life, some of which has been publishes in anthologies and literary magazines. Free and Low Cost Software for the PC, McFarland & Company 2000. Case and Resource Material for the Legal Environment of Business, Prentice Hall 1997. What Price to Live the Dream? “But they must have some idea of what might be wrong with him, at least,” he pressed, still angry, but a bit calmer. With that he rose and waited for his friend to fish out Tom’s key from her purse. After taking the key, he gently half stroked, half petted the back of her head, trying to reassure her that all would be well. He then turned to Tom, grabbed the railing of the bed, and tried to mouth something, but no words would come. The cold, gleaming steel against his sweaty palms sent a shiver through him. Fighting back his emotions again, he turned towards the door and rushed out. As he exited the hospital, the scent of cut grass and flowers flowed through him, as did the warmth of the sun on his face, letting him realize for the first time that he had been very cold within. The gentle breeze, the sounds of birds, the puffs of white clouds lazily floating high in the sky, the sculptured hedges and carefully tended flower beds with their symphony of color and delightful perfume all helped to soothe his frayed nerves and lift his spirits. He took a moment to take it all in and, for an instant, was transported back to his college days. He could almost hear Professor Greenberg reading from Blake’s Songs of Innocence. Behind him, he knew, were the Songs of Experience‑‑the decay, death, and disappointment of real life, of unfulfilled dreams that are the inevitable legacy of childhood’s end. But if he did not turn around, he could almost deny the unkinder side of nature he was leaving behind, and dwell, if only for a moment, in the calming warmth of his surroundings which evoked a happier, more innocent time. The verdant boughs of heartwarming memories had long ago turned to brown, but he was both surprised and pleased to learn that they were not beyond sprouting tender shoots if he cared to turn his attention there—if he was willing to look beyond the pain and turn his mind to happier times. As he neared his car, walking down a winding path, he continued reminiscing about the simpler, happier time of his college days, where, in a campus not unlike these pastoral grounds, Tom, Chrissie and he had spent the best years of their lives. Seeing Chrissie again had begun in him a faint welling of emotions he thought he had left behind, or at least learned to keep submerged by years of practice taught by necessity. But she was still the same woman he had loved in silence, never voicing his feelings, knowing that her heart was not and could not be his. Yet he had shared countless dreams and memories far more intimate than the sexual relationship they would never have, and that he could not even fantasize about without engendering strong feelings of guilt and betrayal towards his best friend. Despite the still remembered pain of his secret, unrequited love, and despite his best friend’s withdrawing into an inner world that left no place for him, those years had left him with memories he would not have traded for anything in this or any other world. Phil reached his car, entered it, mechanically turned it on and began to drive away, his mind still floating in mist of tenebrous recollections. A half hour later, as he approached Tom’s house, Phil felt as if he were awaking from a troubled dream; he became aware of his driving, or the wind rushing through his hair and the soft guttural sounds of his uncharacteristically under-revved Porsche. He shook his head, trying to dispel the fragments of his haunting recollections. Looking at his speedometer, he noticed he was traveling at only 35 miles per hour in a 55 zone–a bit unusual for someone who’d had his license twice suspended for having accumulated an excessive number of speeding tickets. “Damn, I must be getting old,” he snickered out loud as he turned into Tom’s driveway. He stopped abruptly and gazed around him in disbelief at the want of care evidenced by what had once been painstakingly well tended grounds. Gone were the white rosebushes that had flanked the driveway, and the cherry, apple and peach trees in the orchard to the right were all bereft of foliage, sporting instead dozens of large, ash colored gypsy moth cocoons bulging with the gorged bearers of doom for all nearby vegetation. The lawn had long ago gone to seed, and tall grasses grew from what had been impeccable flower beds. Everything was overrun by weeds, some nearly five-feet tall with dandelions and a wide range of other weeds giving the front lawn a spectral appearance despite the bright sunshine. Sap oozed like honeyed, amber blood from trees whose fallen dead limbs littered the small orchard, some of which had fallen on the driveway and impeded his passage. Gypsy moths were not the only unwelcome guests; Carpenter ants had found a haven here, leaving behind a cankerous wound and gaping hole in a large oak at the end of the driveway, by the front door. Nor had the house been spared; a shutter hung at nearly a 45 degree angle framing a large picture window with an extensive crack running along it diagonally from left to right; this had, at least, been temporarily repaired with several layers of three-inch wide transparent tape. The work of termites could also be observed around the windows and the door frame. 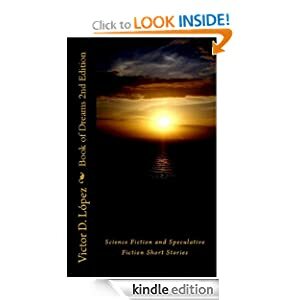 This short story is one of eight short stories in Book of Dreams 2nd Edition and has also been reprinted as a stand-alone short sot for the Kindle reader. You can view additional information about each by clicking on the book covers below. For additional information about other titles currently available through Amazon, you can visit my author’s page by clicking here. Thank you for visiting this page and for your interest in my short fiction.